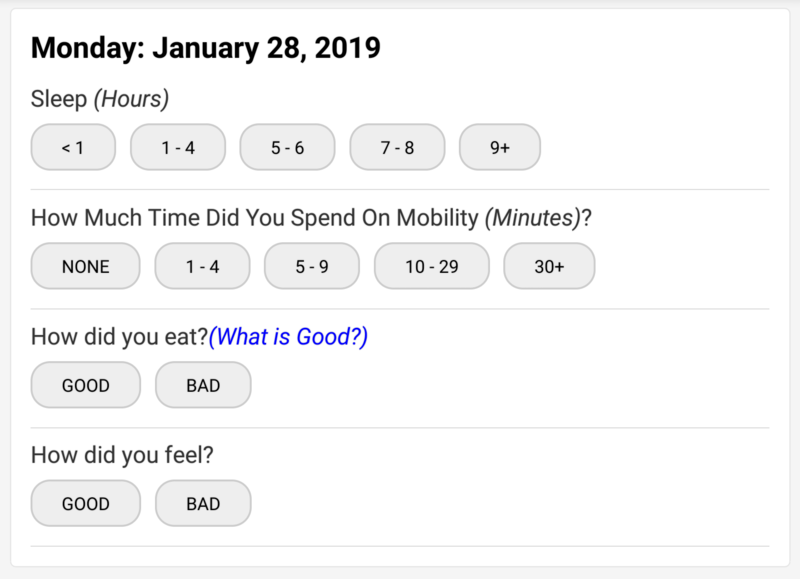 How do I track Lifestyle? 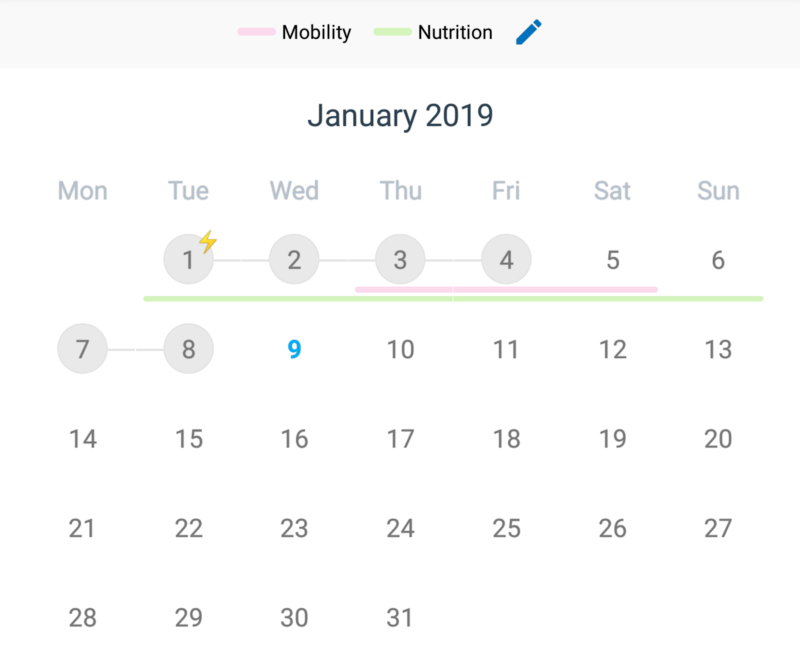 To track your lifestyle just tap on the Key at the top of the Calendar page or from the list on your Home page. You can input your responses for any of the previous days in the last week. Your responses will show up on your Calendar. You can choose to display 2 of the 4 Lifestyle parameters. To adjust the parameters that are displayed, just tap on the Gear ⚙ in the header of the Calendar page. Long bars represent streaks of positive lifestyle choices. The more consistent you are with your healthy habits, the longer your streaks will be.